I suppose we can put yesterday snore bore draw down to a bad day at the office, but it was frustrating none the less, Newcastle a team full of supposed super stars that cost far more than City's; they possibily had a worse day and look far more disjointed than we did. It looked far more like two teams that didn't want to lose the game, more than they did going all out for a win, Newcastle latest record is worse than City's 4 defeats and the reasons were quite clear to see. I felt that with a lot more composure and awaremess we could have been sitting with another 3 points in the bag and closer to the magical 40points mark. Chris Hughton still continues to frustrate me, his changes often come too late to have any effect and are more often than not a like for like change so all stays exactly the same. He has different options often sitting on the bench, take yesterday David Fox just sat there, wondering what the new contract was all about as were many who sit around me. What was wrong with bringing him in the place of either Johnson or Tettey for the second half that would have add another dimension to the midfield. For me Pilkington wasn't adding that much to the game, his covering back I felt was weak, what was wrong with switching Snodgrass over to the left and bringing Elliot Bennett on, he is far more direct in his play, then add Holt for Hoolahan and go with two strikers and two wingers ? But that's me I am not a manager thankfully, I know it all too easy to be a terrace critic but when you hear many, many others saying the same things it is good to know you aren't alone of course we cannot change or alter anything. I have said this before I feel we haven't got a Plan B to fall back on when things are not going to plan and that does worry me a little. Hughton has improved the squad, so he has better options than what Lambert had to use. Yet when Lambert was using much the same group perhaps a little weaker if Hughton has improved, he managed to have a Plan B and perhaps a Plan C as well. 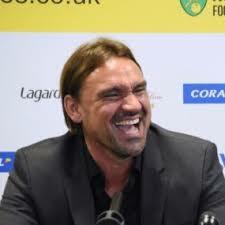 It is fair to say it didn't always work, but you left Carrow Road that everyone in the whole team, manager,coaches and players had done everything within their powers to change the game and get something out it. I cannot say I feel quite the same. We all shout about getting another striker, but I asked myself and friends yesterday what is quite the point ? 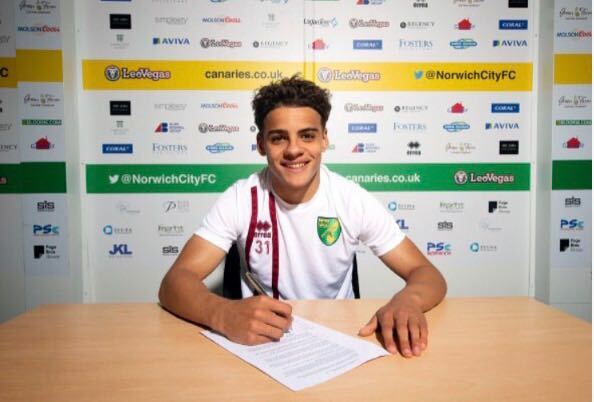 Hughton is favouring this One up Top, single striker role, if any new striker is to brought in it seems to me that he will still have to be in the same vein as what we already have. 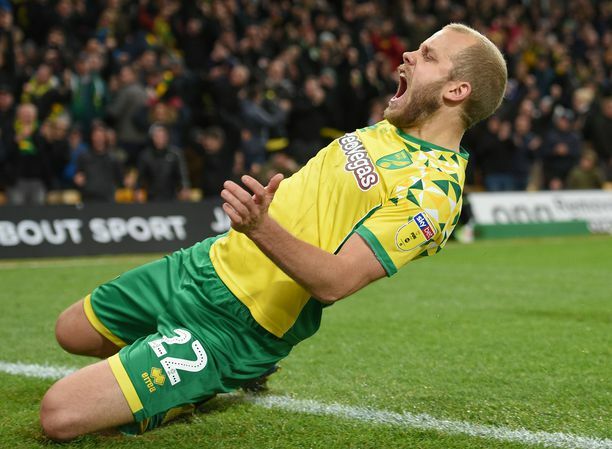 A targetman type of player to do the job that Holt and Morison already do, they will have to be very special to come in and do that job and still get amongst the goals, we all know Holt can score simple as that, but he isn't this season why ? And it isn't just me saying it is because of the role he is now asked to play, pundits and experts all agree on that. So any replacement or additional striker will have to be rather special and I don't think for one minute we are at that place yet where we can spend the sort of money need to get this player. A better option would be to improve the quaility of the midfield with a more attacking minded player. While I am a big fan of Hoolahan we need something a little different, it looks to me as if teams can stop Hoolahan, they are 80% there to stopping City in general. Hoolahan is a magical little player of that there are no doubts, but his flaws are for all to see, he is small and easily knocked off the ball, his so one footed defenders can soon work out how to deny him him the turning space, this is why he has to seemingly beat the same players more than once. All this adds up to amount of times he gives the ball away or runs into too much trouble; that is without adding the good tackles and defending he comes up against. 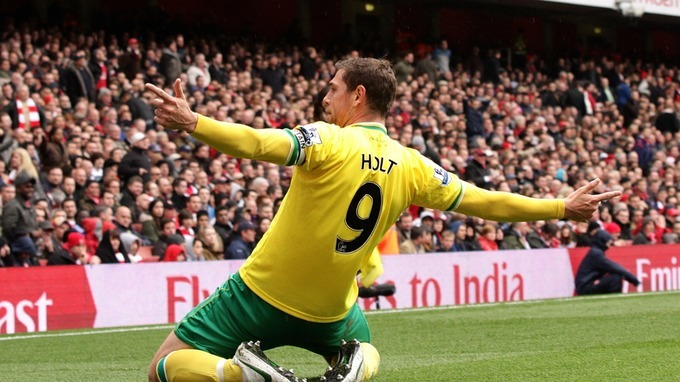 Yesterday was one of these bad days for Hoolahan which eventually spread through to others. I am not blaming Wessi at all, he is what he is and I still love the little fella, but we do need another option, which offers something different, so Plan B can be introduced. At the moment Hughton has changed his style to accomodate Hoolahan, much as what Lambert did while having the options to change. I don't know if Hughton is either unwilling or unknowing how to set his stalls up with a Plan B to fall back on, only he can possibily answer that. Hopefully that one point yesterday is the platform for another little run that could take us safely over the line, sometime as much as we get bored, frustrated, sometimes we will have to be ugly and one of those was yesterday.